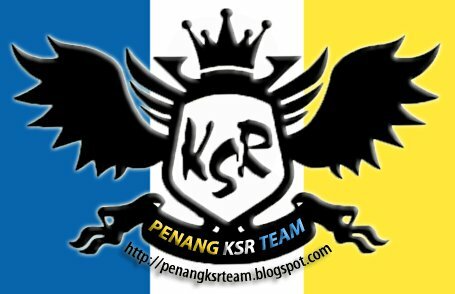 During the time when I was back at my hometown – Sungai Petani, Kedah on 220810, penangksrteam and penangkapcai were actually doing our usual visiting at a nearby Kampung called Kota Kuala Muda, which we rarely come over even though when we are back at Sungai Petani for Fun. I wasnt too keen to go to all these places because I thought it would be really boring. But then again I got dragged along, and things didnt turn out as bad as I thought it would be. It has been many years since I came to Kota Kuala Muda, but things didnt change much recalling my feint memory when I was here during my teenage days. The good old kampung feel still lingers around town, being surrounded by these old structures. Let me give you a brief history lesson on this town. 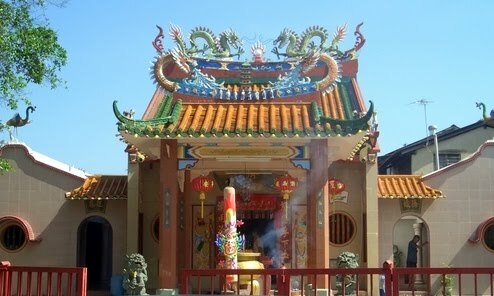 Kota Kuala Muda was an illustrious trading port and defensive fort with a history dating back 400 years. 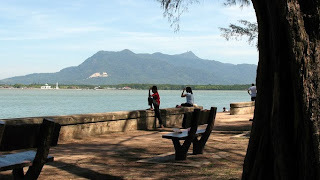 Do look out for the fort in Kota Kuala Muda which was built in the 18th century. Kuala Muda was an important port in Kedah in the ancient time. Some old villagers said that Sultan Ahmad Tajuddin made Kuala Muda his residence to escape the Thais who was pressuring him. He lived in Kuala Muda when the Thais invaded Kedah back in 1821. In later years, he lived in exile in Penang. 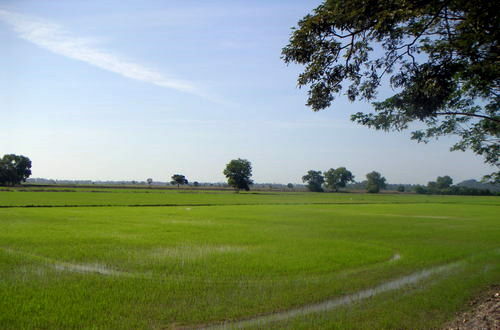 The Thais had Kedah for over 20 years. 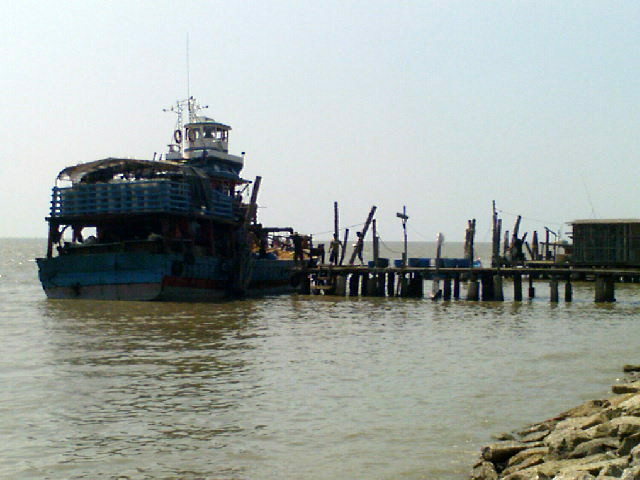 Under the Thais rule, the port no longer function as an important port and that ended the glory days of Kuala Muda. Next, we took a boat ride from Pantai Merdeka to Tanjung Dawai, which costs us about RM2 per person, I think its pretty reasonable. The boat ride was only about 10 minutes, and soon we arrived at Tanjung Dawai. 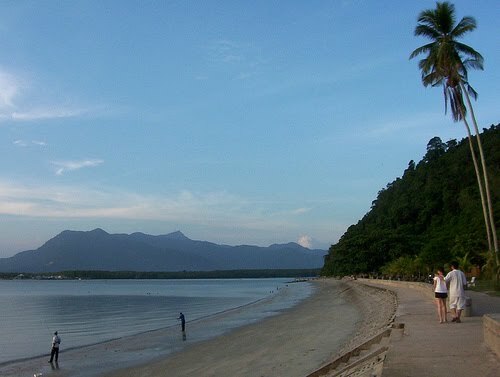 This small village is the fishing hamlet of central Kedah. But come long weekends and holidays, the place would be abuzz with day-trippers and outstation visitors, some from as far as Johor and Kuala Lumpur. 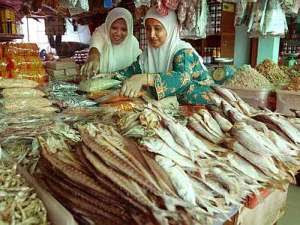 Many are willing to travel the distance just to buy Tanjung Dawai’s famous ikan masin (salted fish), ikan bilis (ancho-vies), belacan and salted ikan talang (queen fish). 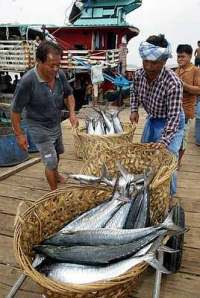 Located about 14km from Sungai Petani, Tanjung Dawai has about 3,000 residents who are mostly involved in fishing or producing fish-based and seafood products.